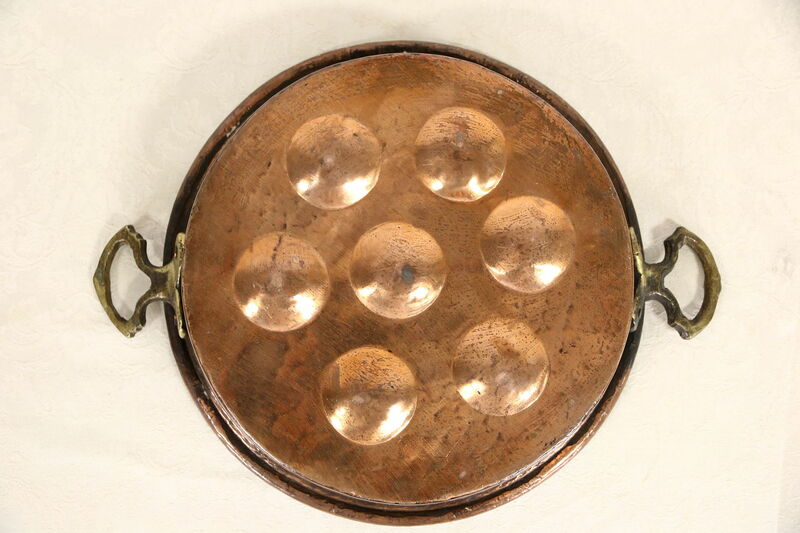 This solid copper pan or pot was hand hammered in Turkey many years ago. Brass handles are original, and the interior has a tin wash to protect food. Almost pure copper, the color is quite reddish with a patina from age. Size is 15" across the handles and just over 3" tall.